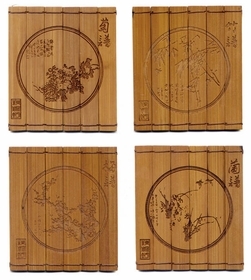 These Chinese bamboo coasters are engraved with famous Chinese Flour Flowers pattern. Plum Blossom, Orchid, Bamboo and Chrysanthemum. 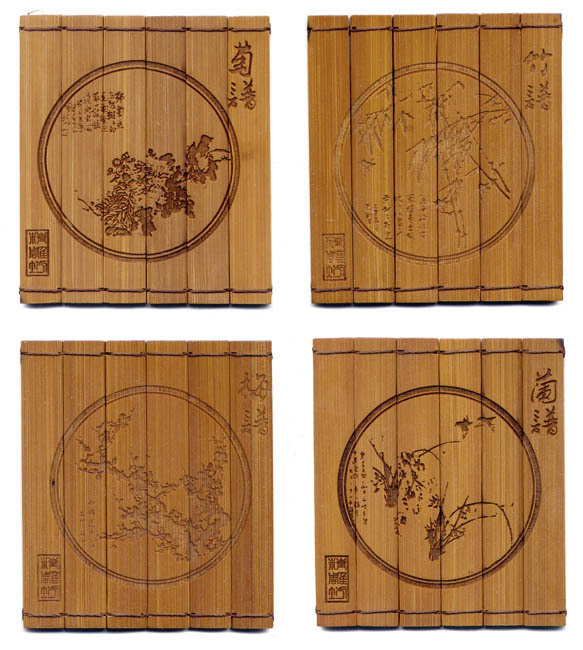 The Chinese tradition is to display especially these 4 flowers all together. Protects furniture against staining & scratching. Comes in a set of four.